This resource is currently available as a PRE-SALE. This means that the resource hasn't been released yet. Purchasing now guarantees you the lowest possible price! This deal is available for limited time only and will expire on or before the completed bundle is uploaded. 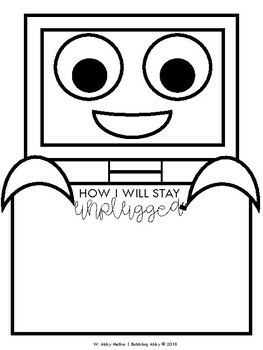 Additionally, you will also have access to the BUY NOW BONUS: a craftivity to use with the story Unplugged by Steve Antony! Be sure to download the BUY NOW BONUS as soon as you purchase this resource, as it will expire when the pre-sale pricing ends. This bundle will be completed on or before April 26, 2019. 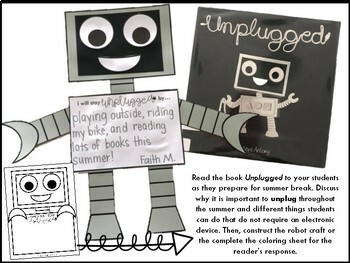 This is a focused END OF THE YEAR read-aloud companion pack for TEN favorite End of the Year Read-Alouds. The purpose of this resource is to provide teachers and students with a structured focus on vocabulary, text-based higher level questions, comprehension, and ELA-based skills through a authentic and engaging children's literature. This is a BUNDLED resource. It eventually include companion packs for those titles listed above. Each resource includes a combination of ELA posters, Vocabulary Word Cards and definitions, Text-Based Questions, Writing Prompts, Collaborative Poster Templates and 3 Differentiated Comprehension Checks. 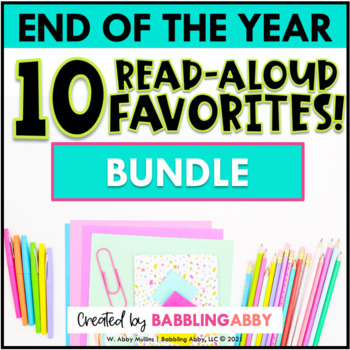 This particular bundle will have a strong emphasis on theme, as each book was selected for teachers to use at the end of the school year and they transition their students to the next grade. Where can I preview a sample of this resource? Click PREVIEW to see the types of resources and activities included in this pack. 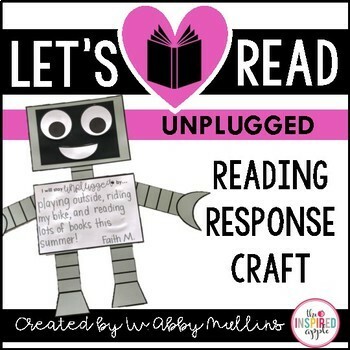 PLEASE NOTE: the preview shows the format for ALL books in the Let's Read series and shows the types of activities included. The specifics change according to the content and standards addressed by each book. Abby Mullins, also known as Babbling Abby, is a former kindergarten and first grade teacher who most recently was an interventionist in a Title I school. She holds a BA in both psychology and elementary education, along with an MA in teacher leadership. She loves creating engaging experiences for students, collaborating with passionate educators, and bringing her creativity and enthusiasm to classrooms across the globe through curriculum and resource development. Abby also blogs at The Inspired Apple where she shares here ideas, activities, and her love of education. PLEASE NOTE: This bundle includes three titles I've currently published companion packs for. Do not purchase this bundle if you currently own the companion packs to Field Trip Fiasco, The Big Test, or End of the Year Blues.